Day #24 – There’s A Maniac In Town! We got home from our little vacation by the sea to find that a new resident has arrived in Blockville. 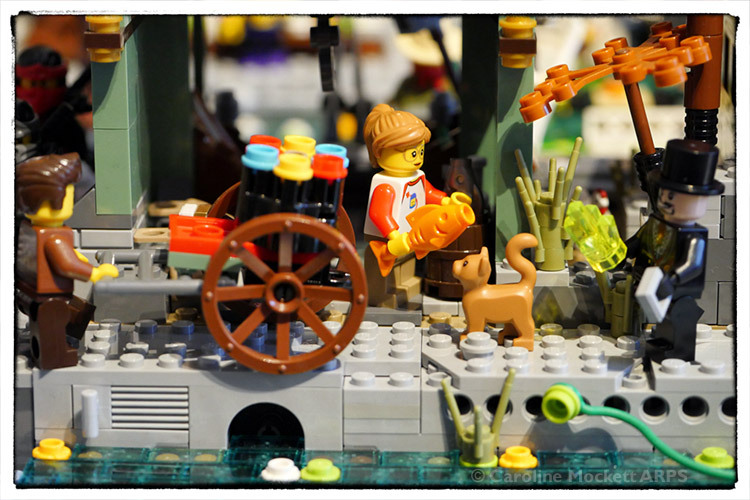 We spotted the mysterious time-travelling Legolamaniac and his charming cat Vega wandering around Airjitsu Market. Looks like Vega has already made a new friend prepared to feed her with a big fish! I’m sure Mr Maniac will also make friends with the locals really soon. Caz enjoyed a lovely walk around the Airjitsu Marketplace today. 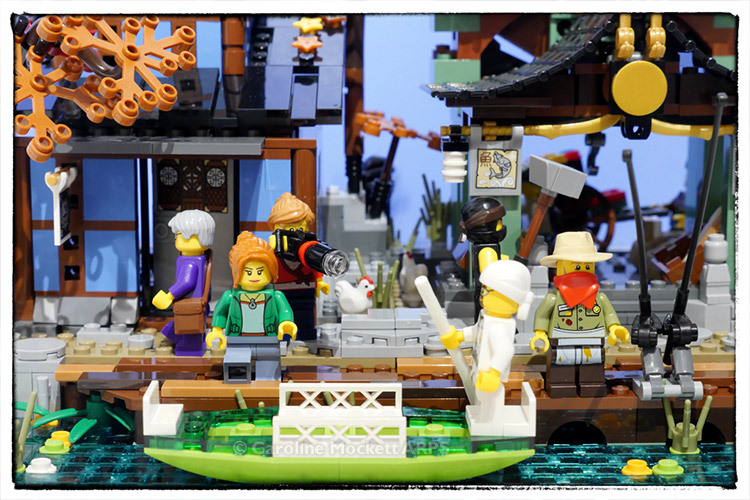 It’s a much older, quaint part of the Ninjago District, but there are loads of photo opportunities with folks fishing, boating and generally enjoying themselves by the water. She took her big camera lens along to get some close up shots of the action.